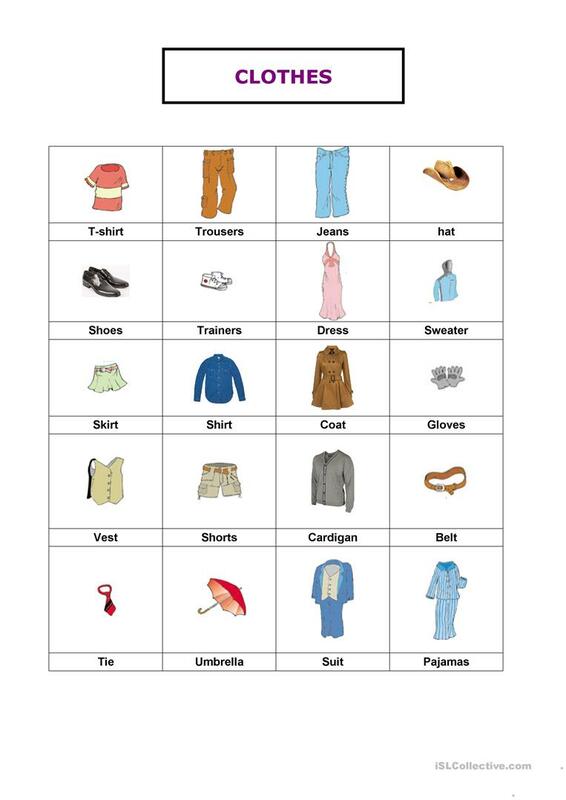 With this worksheets (vocabulary pictures and words) students can practice vocabulary related with Clothes. They can use it as a dictionary or useful sheet to complete worksheets activities. The present printable, downloadable handout is best suited for elementary school students at Elementary (A1) level. It is useful for enhancing your pupils' Spelling and Reading skills. It centers around the theme of Clothes, fashion.